“How to Get Away with Murder,” Thursday, September 27th on ABC, streaming and on demand. Synopsis: In the season five premiere episode, “Your Funeral,” Annalise selects students for her new legal clinic at Middleton and juggles job offers from competing firms, all while the Keating 4 attempt to move on from last semester’s turmoil. And in a startling flash-forward, a new mystery is introduced and it shakes things up for everyone on “How to Get Away with Murder,” Thursday, September 27th on ABC, streaming and on demand. 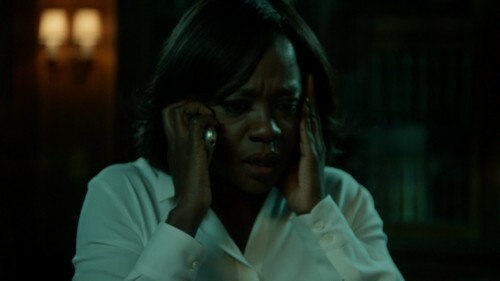 Who called Annalise and forced her to change her plans in "What Did We Do?"? | C + O | - "Born To Die"